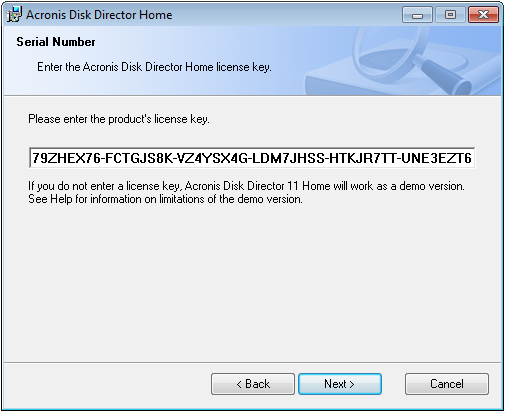 Acronis Disk Director Suite 10.0 is automatically removed during the installation of Acronis Disk Director 11 Home over it. 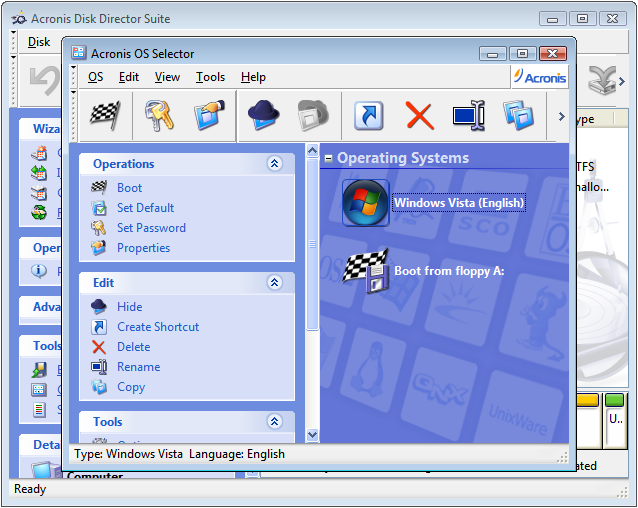 The existing Acronis OS Selector will also be automatically deactivated and removed. (!) 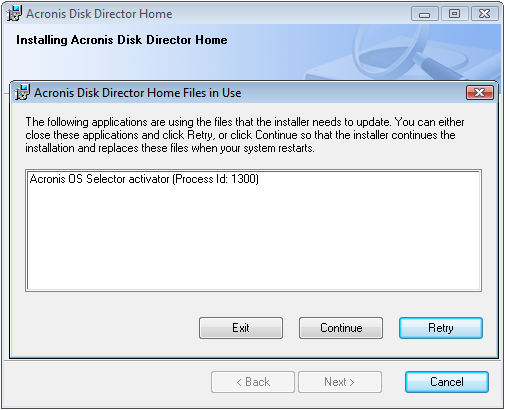 Installation of Acronis Disk Director 11 Home over Acronis Disk Director Suite 10.0 requires a reboot. Use the CTRL-V key combination to insert the serial key. 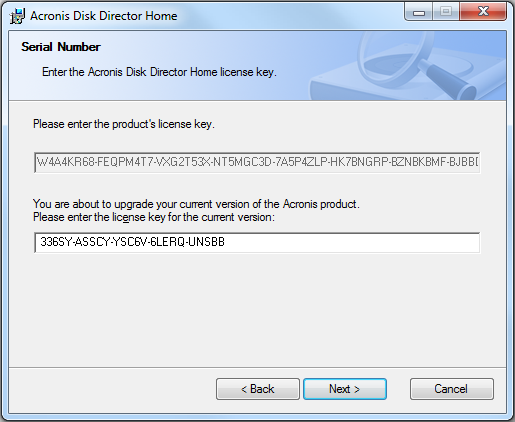 See Pasting Serial Number in the Installation Wizard of Acronis Products. (!) 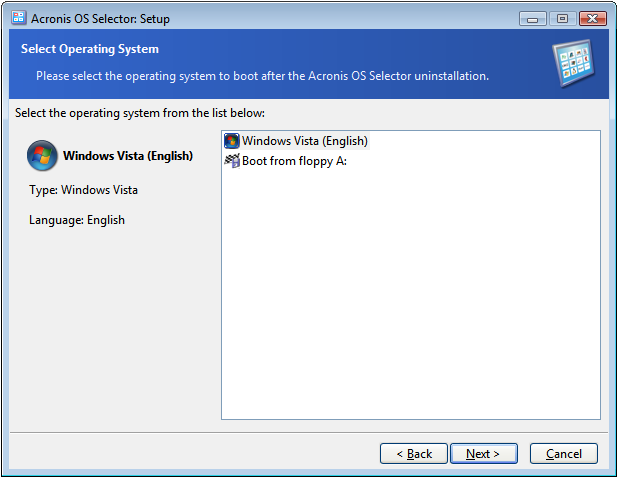 It is recommended to select the No, I will choose the operating system myself option and manually choose the operating system to boot. 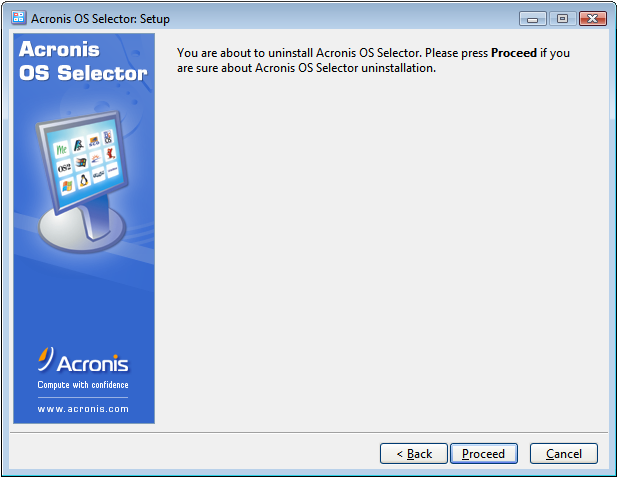 Installation of Acronis OS Selector is performed separately after the installation of Acronis Disk Director 11 Home. 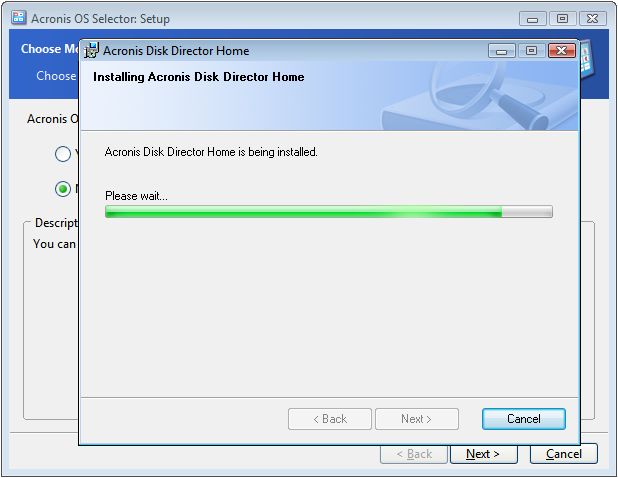 See Acronis Disk Director 11 Home: Installation of Acronis OS Selector. 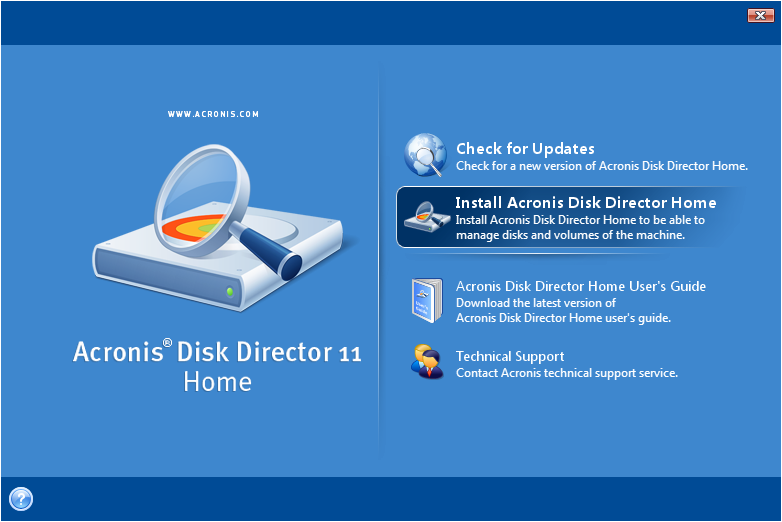 If there is an issue with the product installation, please see Acronis Disk Director 11 Home Known Installation Issues. 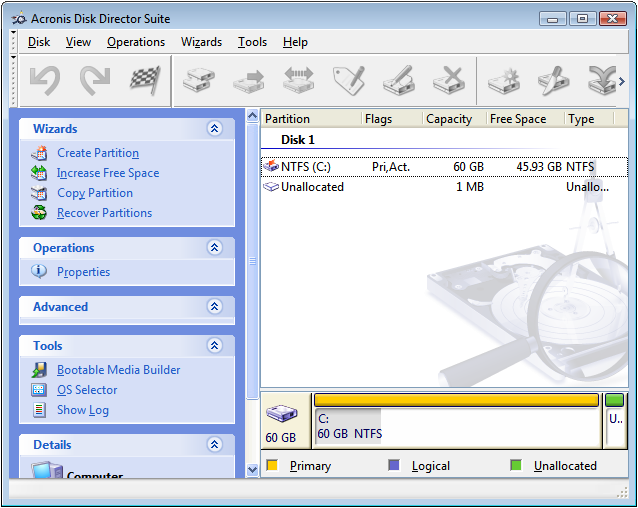 If you need assistance, please contact Acronis Customer Central.